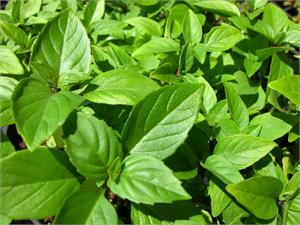 Cinnamon Basil Annual, likes Full sun, Rich, moist, well, drained soil, pH 5.6-8.5. Culinary, Aromatic, Ornamental. Companion plant with tomatoes & peppers.